The expanded Frisby Forest Development Unit area is outlined on this map. Logging company Stella Jones amending Forest Stewardship Plan to include area of Frisby Ridge that holds a part of two recreational trails. Logging company Stella Jones is amending its Forest Stewardship Plan to include an area of Frisby Ridge that holds a part of two recreational trails. The proposal, which has been advertised in the Times Review for the past two weeks, calls for a 56-hectare increase in the company’s Frisby Ridge Forest Development Unit (FDU), which is the first step a company must undertake in order to begin logging an area. “We wouldn’t be adding this area to our Frisby FDU unless we had the intention of conducting logging in the area at a later date, but there are no specific cut blocks being brought forward for discussion at this time and we are not proposing any wording changes in our (Forest Stewardship Plan) as to how we will manage recreation values within this area,” wrote Colin Pike, a forestry stewardship supervisor with Stella Jones, in an e-mail. The expanded area includes the bottom of the Ultimate Frisby downhill mountain bike trail and the Smooth Operator dirt bike trail. A snowmobile trail also runs through the area, but it runs along an existing road and will only be minimally impacted. Stella Jones has a memorandum of understanding with the Revelstoke Cycling Association that outlines how the two parties will communicate and work together when they plan activity in common areas — notably Boulder Mountain, Frisby Ridge and Begbie Bench, which was logged last year. A similar MoU is in the works between Stella Jones and the Revy Riders, which has developed an extensive dirt bike trail network on the lower flanks of Boulder Mountain and Frisby Ridge in recent years. Stella Jones entered into controversy in 2012 when it logged two cut blocks on the Begbie Bench area that was the location of several popular trails. The public can comment on the planned amendment until October 5 by contacting Pike at 250-833-4432 or by e-mailing cpike@stella-jones.com. 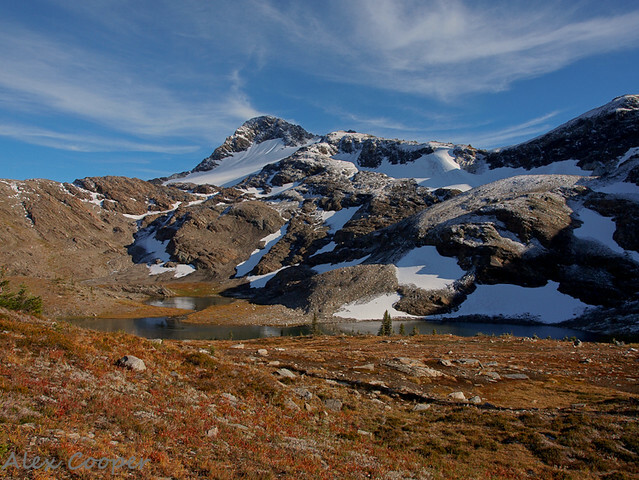 Mount McCrae is a popular hiking destination due to the ease of access to the alpine. Photo by Alex Cooper. The future of the logging road leading to the Mount McCrae trailhead is up in the air following the completion of logging activities in the area. Ashley Ladyman, a forester with Stella Jones, confirmed the company has completed its logging activities on Mount McCrae and that for legal liability reasons, it will be deactivating the road leading to the trail. Ladyman did say the company was planning a public hearing on the road before deactivating it. The road leads to a popular hiking trail that provides access to alpine meadows and a sub-alpine campsite, as well as early-season ski touring, and snowmobiling throughout the winter. Resource companies are required to de-activate roads once they are finished using them. That involves removing all bridges and culverts — potentially making the road impassable. The road is not designated as a Forest Service Road, meaning the government does not have the requirement to take over maintenance, like it did last year with the road up Frisby Ridge. A spokesperson for the Ministry of Forests, Lands and Natural Resource Operations, said the ministry is assessing its options for continued access to the Mount McCrae trail, but no timeline has been set for a decision.